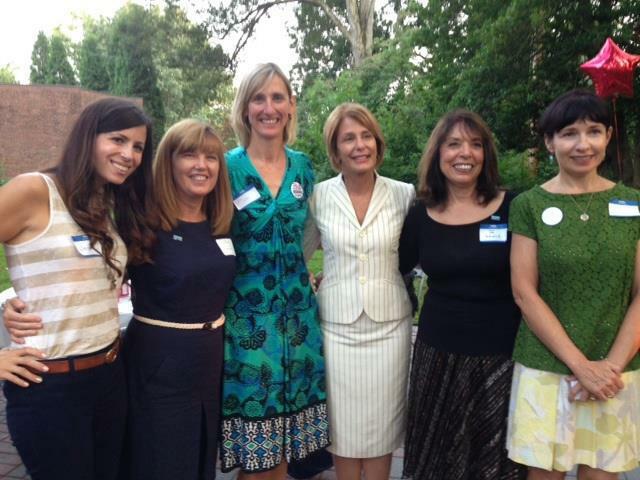 Women’s Caucus Opens Headquarters: Pictured from Left to Right: Jamie Lombardi, Leslie Meyer-Huhn, Ilse Wolfe, Senator Barbara Buono, Jo Lewis, and Daryl Savage. (Sparta, NJ) –The Northwestern NJ Democratic Women’s Caucus announced today that the grand opening of its headquarters, located at 10 Green Road in Sparta, will be open to supporters on October 27th at 2 p.m. The Women’s Caucus, formed by Leslie Meyer-Huhn and Jamie Lombardi, aspires to get more women involved in politics, particularly on the local level. To that end, and as part of the grand opening festivities on Sunday, The Women’s Caucus will be hosting a phone bank for Senator Barbara Buono’s gubernatorial campaign.